Elevate your mood with tropical palms in this good times graphic. 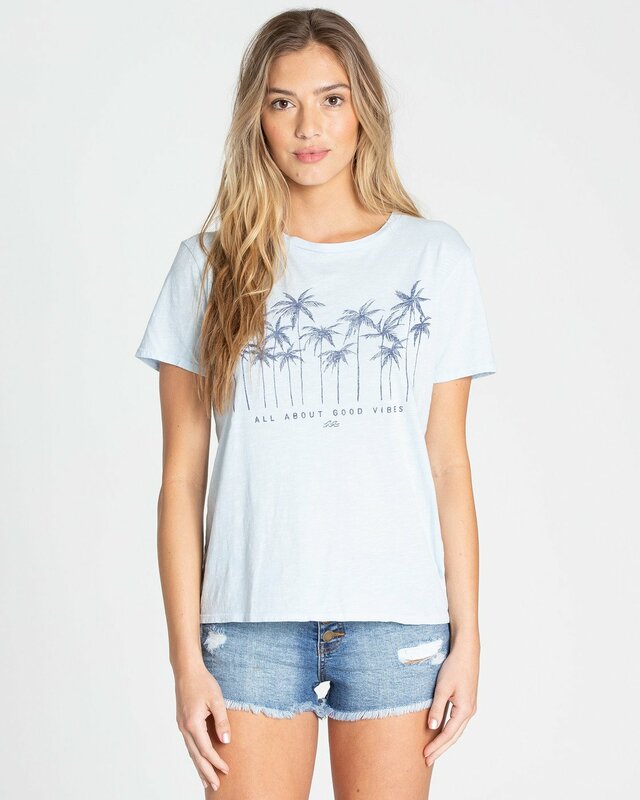 The womens graphic tee is cut with a relaxed, boy tee fit and topped with palm tree artwork printed at chest. An overdye wash offers a rich, lived-in look. “Good Vibes” and palm trees artwork printed at the chest.